Went on a dishwasher service call the other day. Complaint was that the dishwasher was completely dead. The customer had already verified that the circuit breaker wasn’t tripped. First thing I always do on a dead dishwasher complaint is to verify that power is available at the power junction box in the dishwasher. I removed the kickplates, then open the junction box cover and, SHAZAAM! that’s what I saw. It’s a wonder the breaker didn’t trip! Invariably, I get asked, “What caused those wire connections to burn?” Loose electrical connections generate heat– these wire nuts were probably not installed correctly and loosened enough over time to cause the connection to burn. 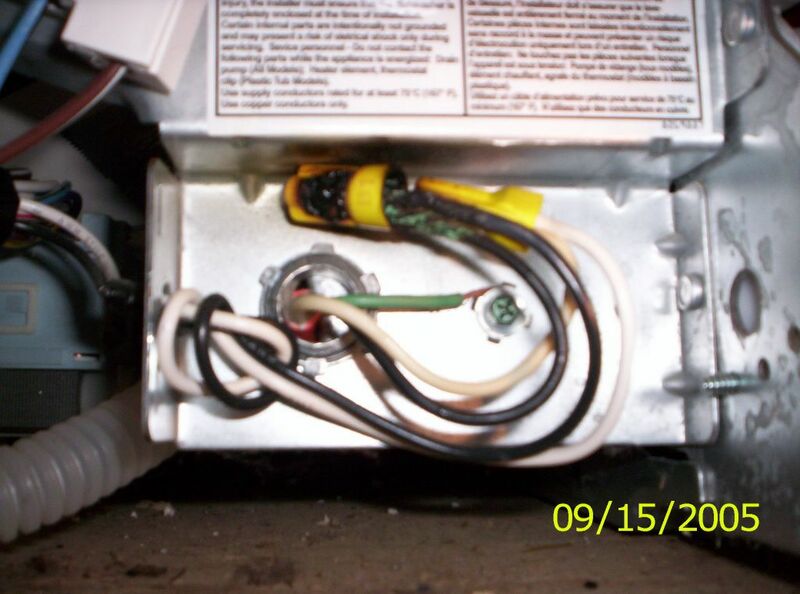 In this case, the connections were contained by a grounded metal box, so there was little fire danger. This entry was posted in Dishwasher Repair on September 30, 2005 by Samurai Appliance Repair Man.